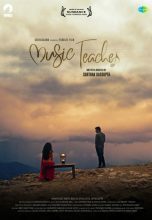 Synopsis: After receiving a generous grant from the American Medical Association to find a cure for cancer, Dr. Dyanesh Kripal Chawla, who always gives hope to his patients, proposes to his sweetheart, Pooja, and both arrange to get married soon. While returning home that night, he meets with an accident and wakes up in the East West Hospital paralyzed from the neck down with virtually no chance of recovery. Shattered and devastated, he is in for more trauma and shock when he finds out that Pooja will have nothing to do with him anymore. Upset, bitter and in despair, he loses his will to live, refuses to take medicine nor any treatment, and awaits death. Gud movie shud watch… bit emotional…. Best emotional family type movie , must watch , different story. its a movie inspired by a topic "Manzoor" by Saadat hassan ali manto! its really very good movie….I like this movie so much.Very nice story.Really love this movie. HI , it is one of the best movies i have ever seen. Yaar It,s a nice movie..Roshan has roled outstanding..
Must watch … specially for the people who have given up on life .. lost hope and the courage to face the challenges life throws at them !!!!! Definitely miles ahead of the crap the so called big banners boast of… Enjoy this lovely movie … 3 cheers to life !!! best movie!each n every person shld watch it. nice movie…great work by physiotherapy,,,,,,,,,thy are the backbone of medical nw a days…………. This is a MUST WATCH MOVIE!!!!! Very Emotional…Keep up the good work! 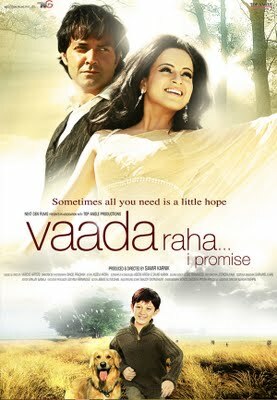 Its a very great & emotional movie.Good acting by Roshan.A Kid teaches a thing which we adult shuld understand, i.e. no matter how many difficulties come, never loose hope in life. brilliant movie i should say 10/10………..
Really fantastic movie. Well done lads. nice movie and truth in the story! NICE MOVIE,GOOD STORY AFTER LONG TIME.EVEN CLEAR PRINT..THANX TO HINDILINKS..FROM THOMAS DSOUZA,MANGALORE/ISRAEL. Excellent movie. This is the best movie that I have seen this year. It's a Nice, emotional and motivational movie every one must see this movie. because this movie can change your attitude toward you life and you can enjoy your life. very very nice movie must watch. Emotional movie. Very nice. Ankhein mein pani bhar aati. I normally don't write comments but this move is really great and encourage me to write good words for this move. Very inspiring movie. Must watch! I liked Roshan's acting. its a nice movie…gud job done by the kid…n believe me..first time m commenting on any movie so far…it teaches a lot abt life…but yaar kangna ranaut ka role kuch samajh nahi aaya…why she left duke when he neede her the most,,,…n why duke forgive her for dat…newayzz…its a great inspirational movie…the kid is really outstanding!!! good, fantastic gr8 movie quiet emotional but i would say dat a very different story but good movie. best movie ever, watch this, dontmiss out! a great movie for people who have become emotionally far from their loved ones due to some tragic incident in their life. watch this movie a good inspiration and true value of life is realised!!! different story and great acting by all ! "Movie ny to rula diya yaaar"
but here i just givin 2 times comments. be positive be real n ofcourse kind n gentle.